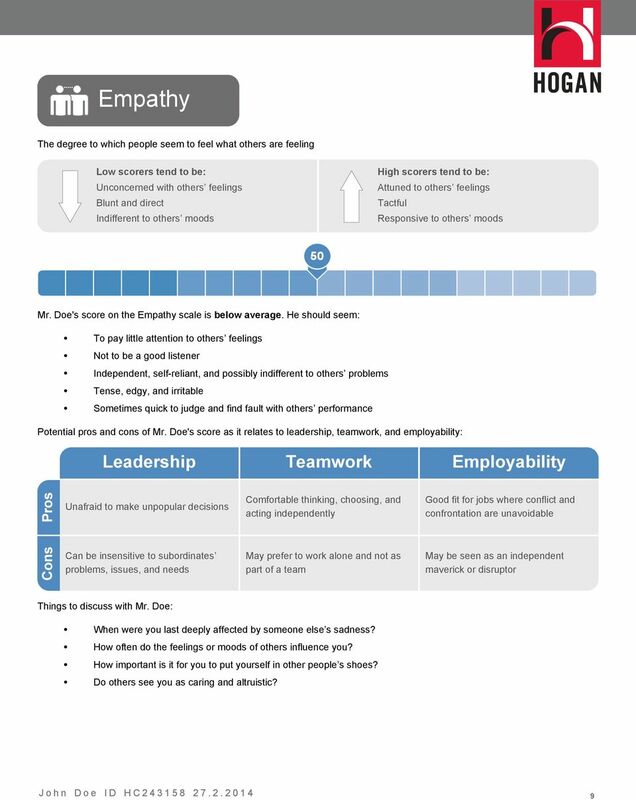 EMOTIONAL INTELLIGENCE ABILITY TO IDENTIFY AND MANAGE ONE S OWN AND OTHERS EMOTIONS Hogan Assessment Systems Inc.
Download "EMOTIONAL INTELLIGENCE ABILITY TO IDENTIFY AND MANAGE ONE S OWN AND OTHERS EMOTIONS. 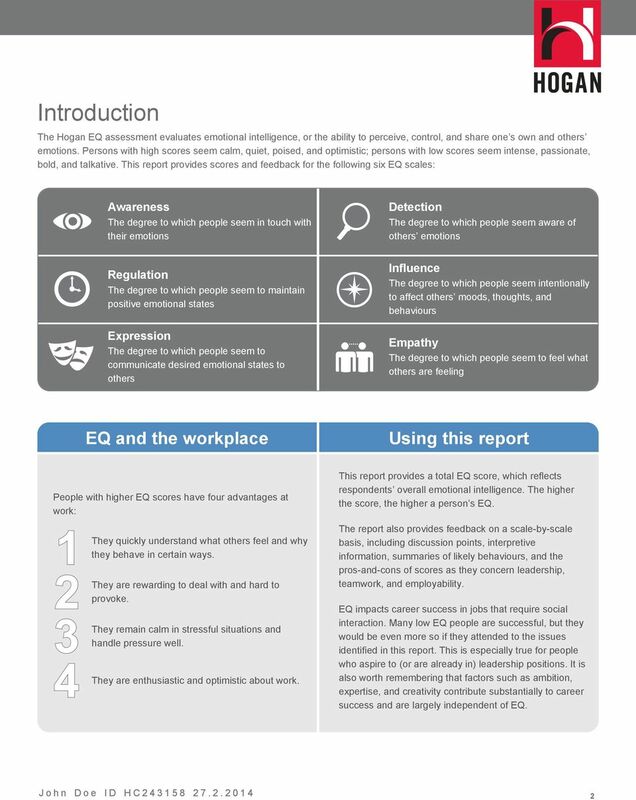 2013 Hogan Assessment Systems Inc."
1 EQ THE EMOTIONAL INTELLIGENCE ABILITY TO IDENTIFY AND MANAGE ONE S OWN AND OTHERS EMOTIONS. 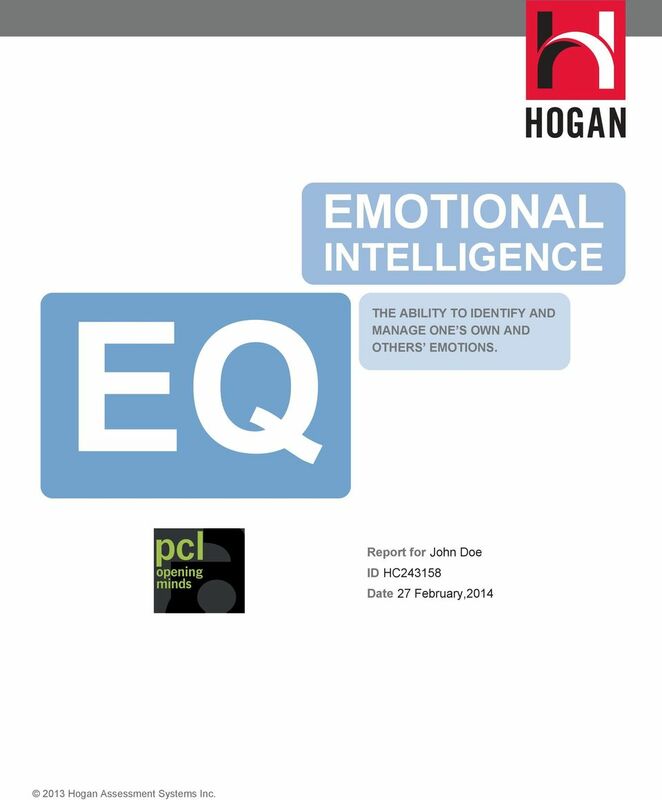 Report for John Doe ID HC Date 27 February, Hogan Assessment Systems Inc. 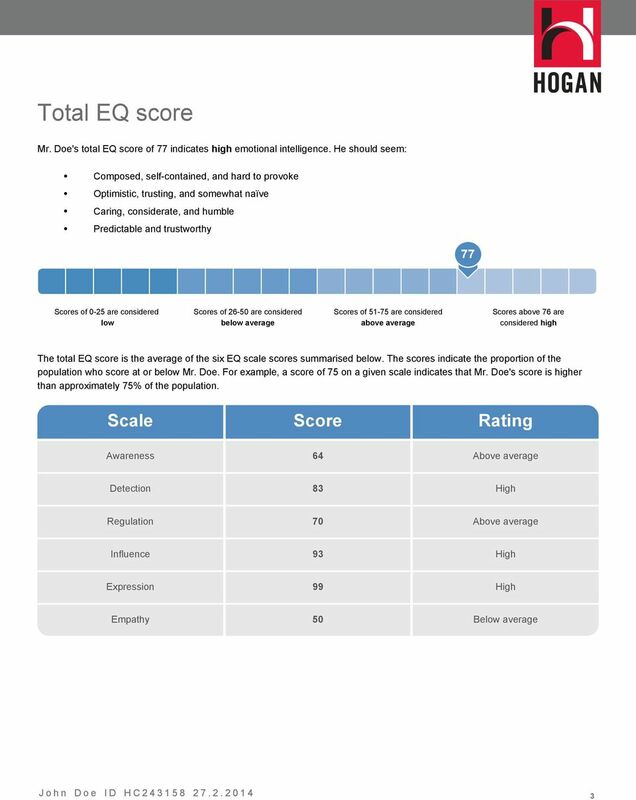 Talent analysis Performance report Sarah Jones 17 March 2012 T I www.tmamethod.com E info@tmamethod.com Content 1. Introduction 3 2. Meaning of the scores 3 3. Consistency 3 4. Providing Feedback 4 5. Summary of Key Concepts. From. 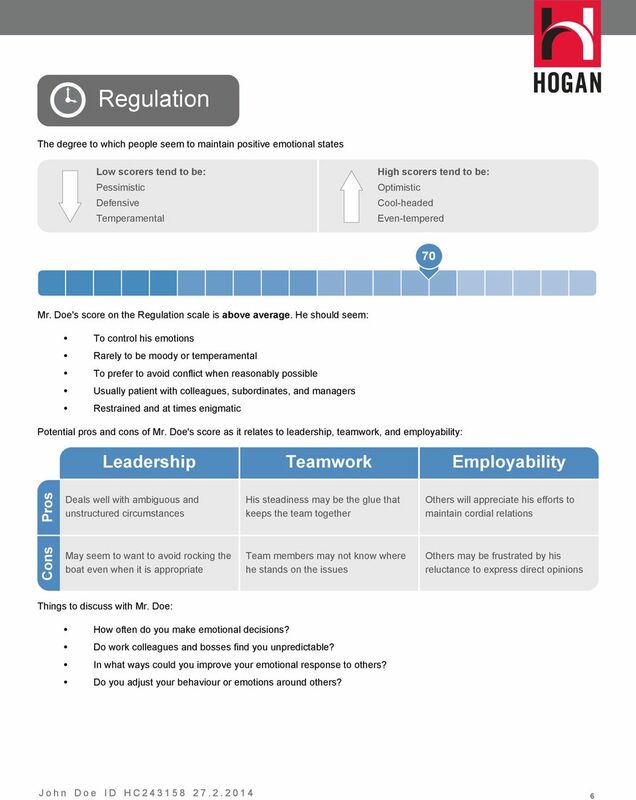 Topgrading: How Leading companies Win by Hiring, Coaching, and Keeping the Best People. By Bradford D. Smart, Ph.D.
An Organizational Analysis of Leadership Effectiveness and Development Needs Prepared For LGI Sample Organization All Raters 12 March 2015 Number of Responses = 10 2015 Center for Creative Leadership. EFFECTIVE COMMUNICATION: MOTIVATION, IMPACT Jenna Carpenter ADVANCEing Faculty Program November 2011 AND BEING HEARD OUTLINE Motivation: EQ & Leadership Impact of Communication Style What s your Style? 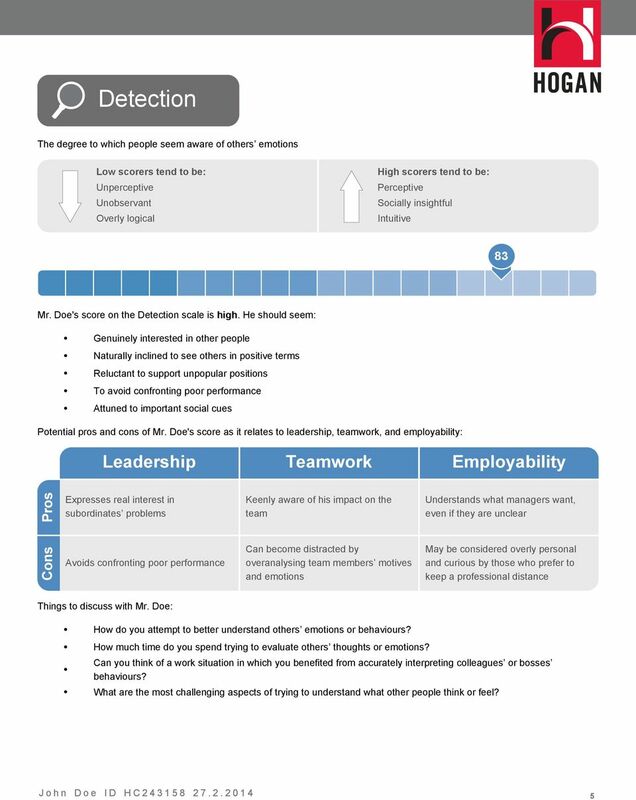 THE LEADERSHIP ASSESSMENT THAT ILLUMINATES LEADER EFFECTIVENESS CONNECTING PATTERNS OF ACTION WITH HABITS OF THOUGHT The Leadership Circle Profile (LCP) is a true breakthrough among 360 degree profiles. Development at the top: Who really cares? 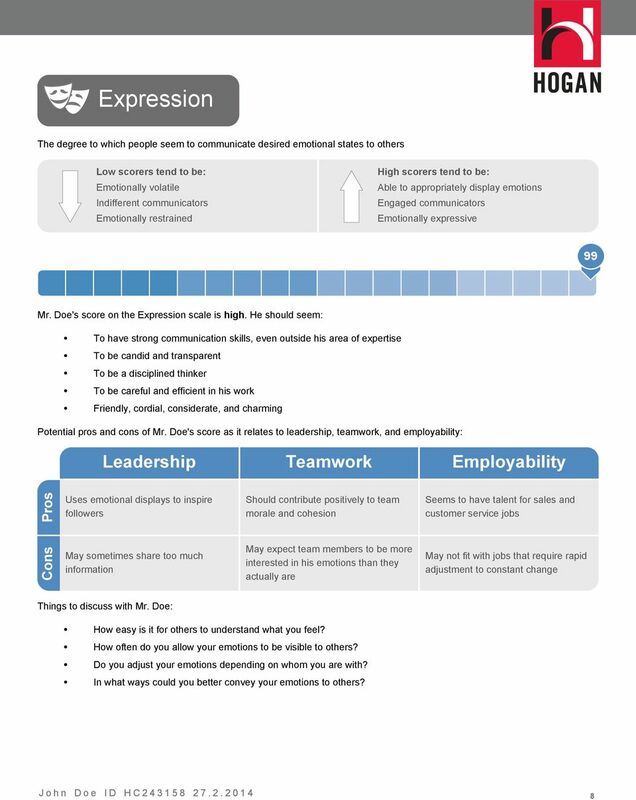 Examples of Behavior Statements- What does "below", "meets" and "exceeds" expectations really mean? Examples of Behavior Statements- What does "below", "meets" and "exceeds" expectations really mean? 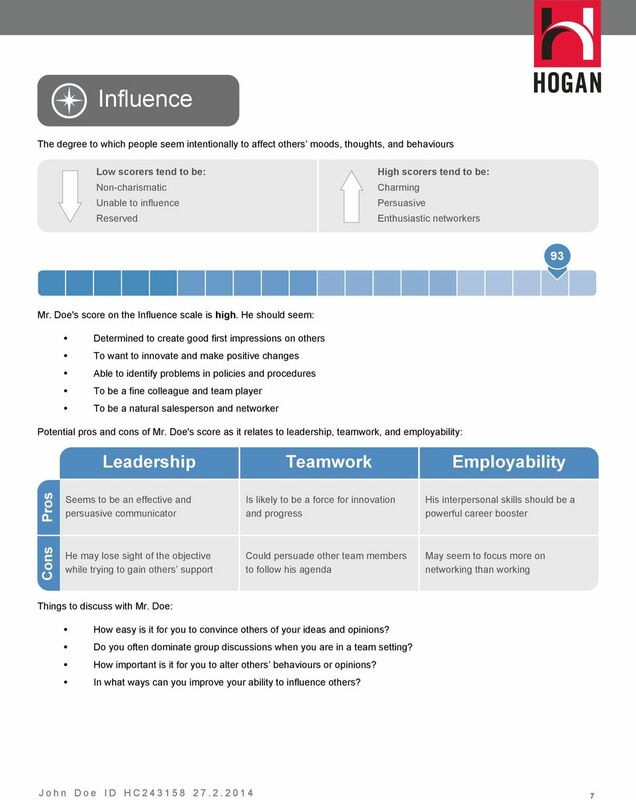 Manager Role MANAGER ROLE: Supports OU s strategic objectives by accomplishing results through others. Sample interview question list Category A Introductory questions 1. Tell me about yourself. 2. Why would you like to work for this organisation? 3. So what attracts you to this particular opportunity?